Welcome to your new home in the quiet Williston Highlands! This property features a 4 bedroom, 2 bathroom doublewide with split floor plan. 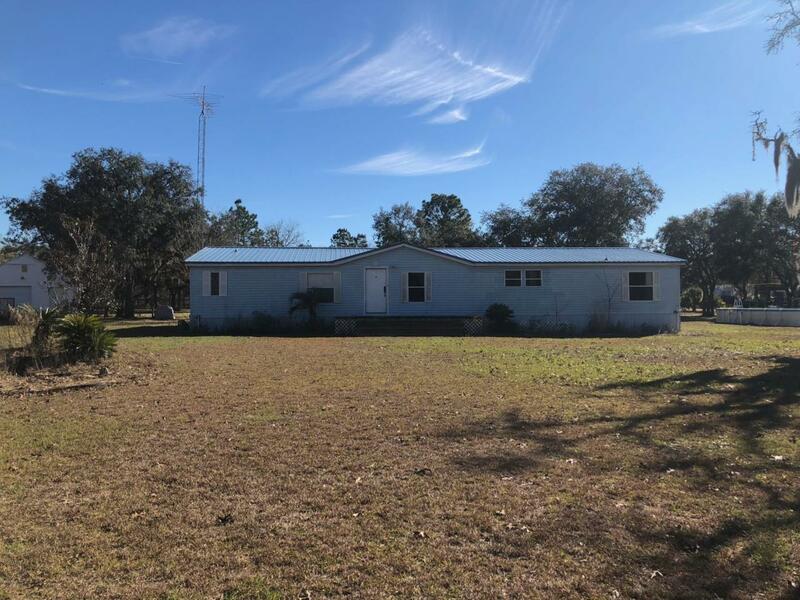 The home is situated on a nice 1.25 acre lot and features a spacious living room with fireplace, large open kitchen, den/office, screened in back porch. Kitchen and master bath have recently been updated. Metal roof installed January 2015. Large detached work space perfect storage for tools and other equipment. Beautiful quiet property. Seller has done some updates throughout. Just needs a little more TLC. Listing provided courtesy of Travis Smith of Pepine Realty.